Just like a general purpose computer, today’s multifunction printers contain a CPU, memory and even hard drives. They use mainstream operating systems such as Linux and Windows; consequently, most security issues revolving around network devices also apply to multifunction printers. 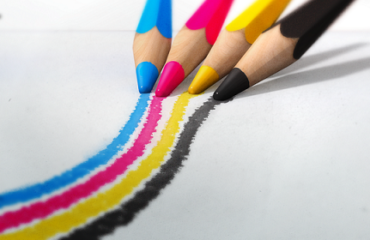 Moreover, best practices have expanded and evolved over time as far as these printer functions are concerned. Here are the five best preventive measures that you can take to avoid the risk of compromising confidential or sensitive data. Multifunction printers should have a network firewall as part of the operating system. It is very crucial to prevent networks especially those with printing capabilities from accessing your printers. Enabling firewall means potential attackers will be unable to perform Denial of Service (DoS) attacks or send large print jobs to waste paper and toners. These printers also support automatic disk wiping. Your printer should automatically wipe out old contents upon enabling this feature. Otherwise, most of these devices retain the content for as long as they are not deleted. This measure is not just meant to safeguard data security, but also frees additional space. This practice can be extremely risky if disk encryption is disabled. Always clear your printer security settings. This precisely implies resetting console or web interface passwords. This can be achieved by utilising the “Restore Factory Settings” feature. Auto Log wiping deletes all logs at regular intervals. This is different from the “Printer Usage” page that most printers provide, which prints statistics regarding the number of pages printed and the toner used only. Enabling this functionality automatically purges print logs present on the printer. This information could fall into the wrong hands bearing in mind that these devices include confidential information such as document names, file types, dates printed, usernames etc. Most modern multifunction printers support full-disk encryption. Encrypting guarantees data security by protecting the contents of the hard disk using a special secret key. This measure prevents potential attackers from removing the printer hard disk and recovering its contents. 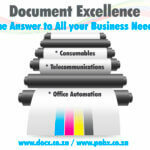 Document Excellence is a leading provider of Xerox multifunction printers and we offer a variety of solutions for home and business users. Visit us online and browse through our selection of products, or contact our sales team for more information. Looking for Large Format Printers for Sale?